Let’s go back to the ’90s when the influence of Michael Jordan had sparked a revolution in the way players wore their uniforms by sporting a lengthier and baggier cut of shorts. By the early 2000s, most, if not all, basketball uniforms looked like they belonged in a hip-hop music video rather than on a basketball court. Yet there was this diminutive Utah Jazz guard who defied the norms and continued to wear his uniforms as if it were still the 80s. 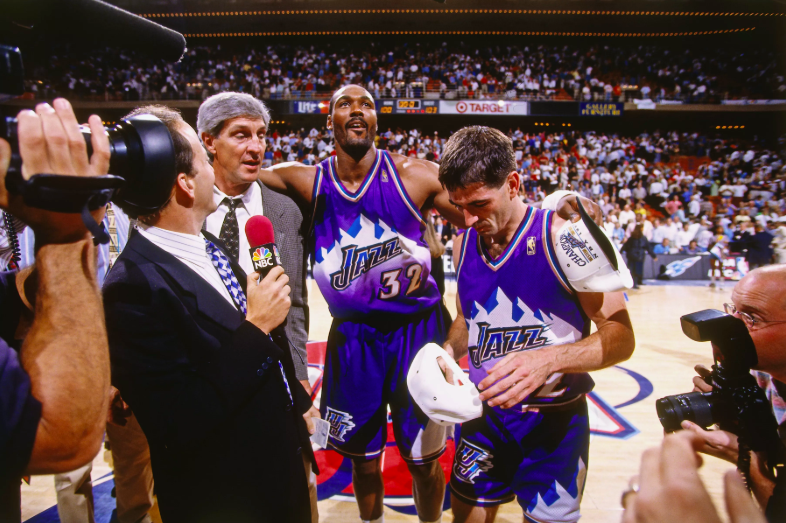 From the mid-1980s to the early 2000s, the Jazz were identified by the triumvirate of bruising forward Karl Malone, long-time coach Jerry Sloan, and point god John Stockton. Together they developed a winning culture that was the envy of the league. The Jazz piqued my curiosity as a young basketball fan, and the few NBA broadcasts I would catch that featured them would always have the line ‘Stockton-to-Malone’ repeated ad nauseam. So I rooted hard against Michael Jordan and the Chicago Bulls in both their Finals meetings. It was my seminal NBA Finals and there were three players whose appearances left a big impression. Jordan, wreathed in the flames of the devil, Dennis Rodman, whose hair then confuses me to this day, and John Stockton and his short shorts. I learned that Stockton short shorts were unique in itself. I grew up around professional basketball, and any mention of short shorts on the basketball court would almost immediately draw a reference to John Stockton. Those short shorts also invaded one of my favorite TV shows of all time, with the girls from “Friends” declaring their love for John Stockton in a commercial. Back then, the idea of balling in short shorts was laughed at for being an outdated concept from another era. Yet there I was, associating that piece of clothing with some of the greatest point guard play I have ever seen. Stockton hung up his short shorts in 2003 and is still the NBA’s all-time leader in assists, by 3,715, and steals, by 581. By the looks of it, no one will come close to touching those records in the near future. I can also guarantee that each and every one of those assists and steals were made while wearing his iconic shorts. Stockton on the other hand, never played for another team as he let his 19-year NBA career wind down in Utah. Just like Stockton, despite the ups and downs of the franchise, my admiration for the Jazz organization never left as well. Today the trend has shifted with players like LeBron James wearing more fitted and trim uniforms. Even in the Philippines, players like Adamson’s Sean Maganti and Magnolia’s Jio Jalalon are sporting short shorts again. 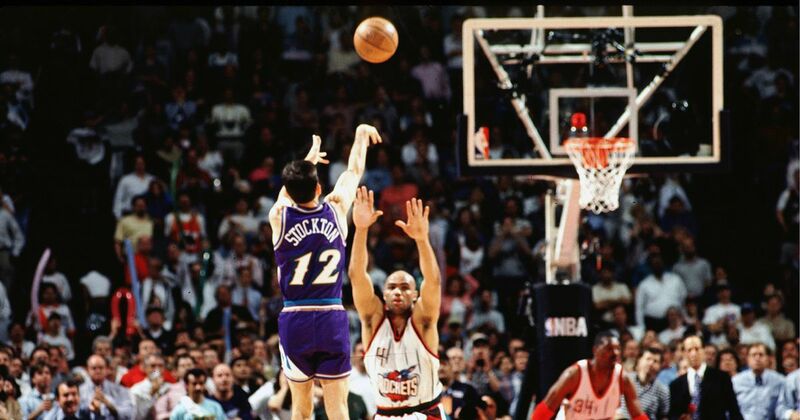 But there has been no player who has sported it the way John Stockton has. The amount of thigh Stockton shown has yet to be matched since his retirement. If there was a shrine dedicated to Stockton, the most prized relic on display would definitely be his short shorts. If given a choice between having a pair of short shorts or a jersey signed by Stockton himself, I would ask for the former in a heart beat. While I could not personally rock short shorts the way my idol had before me, as my thighs are simply too thunderous for them, it doesn’t take away what they meant to me as a young basketball fan growing up. It was a symbol of consistency and excellence that has shaped my perception of what a true point guard should be. 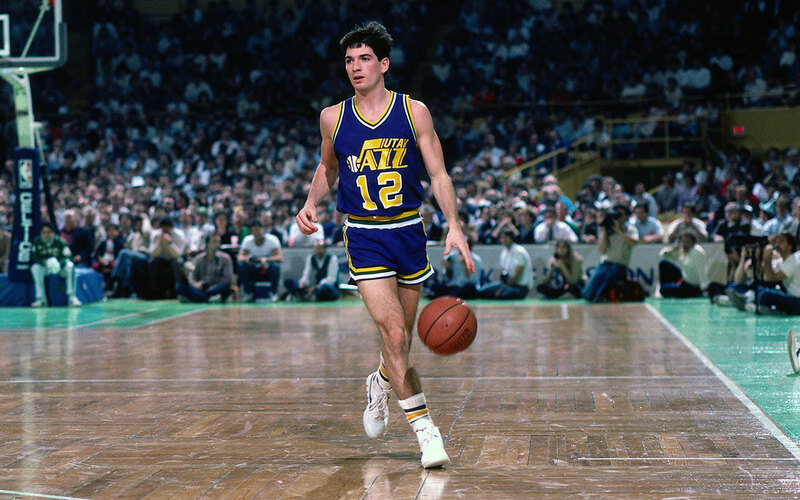 Those Stockton short shorts are the banner on which my fandom for the Jazz was born from, and it lives on on strongly. The Air Jordan XI ‘Concord’ is dropping today. Check out the Titan on Instagram for details on how to claim your grail.